Bha priomh cumadh Raspberry Pi an Cumadh A. S' e so-ghiùlan coimpiutair air dèanamh le fear-dhèanamh, bha e cruthaichte is fuasgail air 2008. An dèigh 3 bliadhna, bha Raspberry Pi B fuasgail. Bha môr sìneadh agus cumadh fuasgail air an bliadhna. B' e an prìomh cumadh aig an Raspberry pi. Tha aon CLG (Coitcheann . Leansgeul . Giùlan) aige, tha 26 GPIO aige. B' e cumadh 2 aig an Raspberry Pi. Tha 2 CLG aige, agus tha 26 GPIO aige. S' e cumadh 1 air Raspberry Pi leansgeul 2, tha 4 CLG aige, agus tha 40 GPIO aige. S' e cumadh 2 air Raspberry Pi leansgeul 2, Tha aon CLG aige, agus tha 40 GPIO aige. S' e an prìomh cumadh 2. tha 4 CLG aige, agus tha 40 GPIO aige. 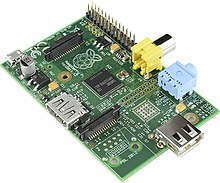 Air a tharraing à "https://gd.wikipedia.org/w/index.php?title=Raspberry_Pi&oldid=507665"
Chaidh an duilleag seo a dheasachadh 5 dhen Dùbhlachd 2015 aig 10:58 turas mu dheireadh.